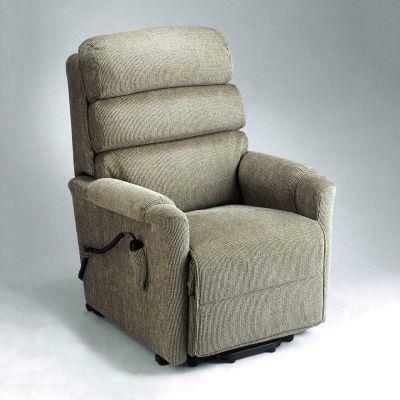 Waterfall style backrest provides superior comfort. Padding on each backrest layer can be adjusted. Full chaise pad provides additional legrest support and comfort. Supplied with a magazine pocket. Hand held controller is simple to use. Wall saver mechanism requires minimal clearance behind the chair when reclined. Available in a range of fabrics and vinyls. Models on request: Petite, mini, maxi and tall.